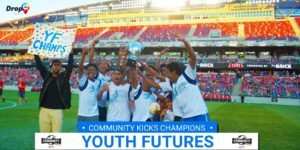 The 2017 Community Kicks showed great future. A massive THANK you to two great settlement agencies in Ottawa for their unique support in making #Communitykicks a great success. 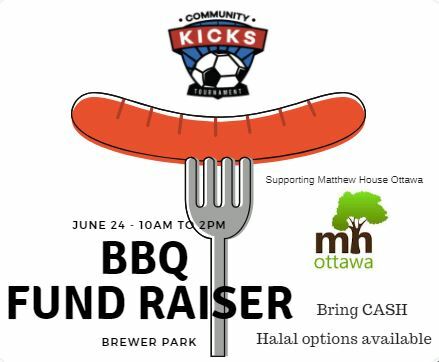 Thank you Catholic Centre for Immigrants Ottawa and Ottawa Community Immigrant Services Organization for your in-kind support and push to inform clients about this uplifting event- we hope goals of connecting were met and everyone feels a better sense of community and sense of welcome. As the Community Cup did for 13 years, We continued the tradition or “kept the ball rolling” this year with your support. We hope the participants have something to talk about for years – or at least until June 2018 – for the 2nd annual Community Kicks that is already shaping up to be bigger! Merci a notre commanditaire Conseil des écoles catholiques du Centre-Est. J’éspère que les étudiants ont apprécié et reviendront pour la coupe l’année prochaine! Thanks to the awesome volunteers for taking on big roles and being some of the most reliable and dedicated people I have ever met. Thanks also to the volunteers from Algonquin college, the Ismaili Muslim Community of Ottawa, the Zito family, and many more! Congrats Salma, Youth Futures will be engraved on the Cup this week! Finally, to our hosts TD Place OSEG – thank you. It was an honour to work with and play in partnership with you and the Ottawa Fury FC.